Out of the Grade 1 winner Game Face (Menifee), Coliseum debuted impressively at Del Mar with a 6 3/4-length maiden victory. Favored in his next start, the colt finished a disappointing sixth after missing the break in the G3 Sham. The San Vicente was his third start, and he still broke a bit slowly but was up to press the pace, then dropped back to third in the stretch to be defeated by longshot Sparky Ville and stablemate Dessman. 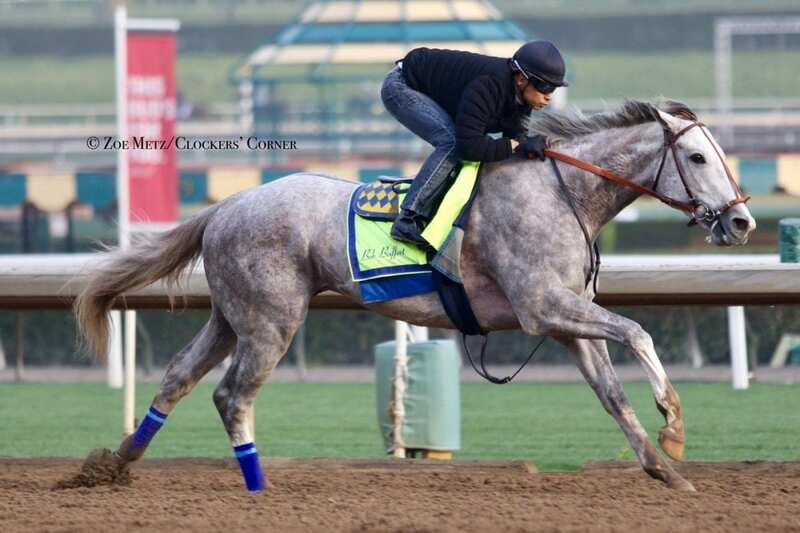 This entry was posted in NL Article, Triple Crown and tagged Bob Baffert, coliseum, Game Face, Godolphin, kentucky derby, Menifee, road to the kentucky derby, San Vicente, santa anita, santa anita park, Sham, tapit by Paulick Report Staff. Bookmark the permalink.